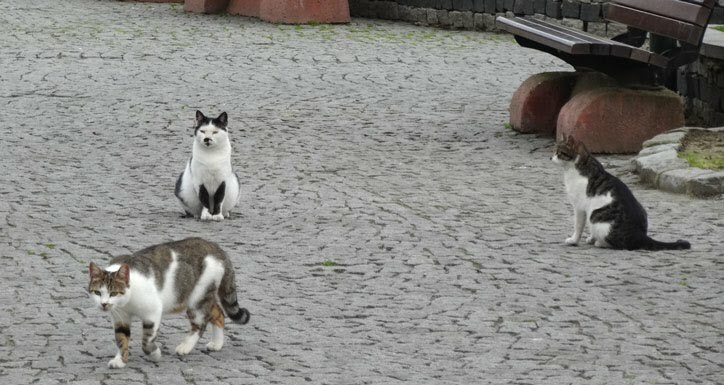 Around the famous Sultanahmet Park where Blue Mosque and Hagia Sophie stand is where many of the local stray cats call home. The locals don't seem to mind their presence. 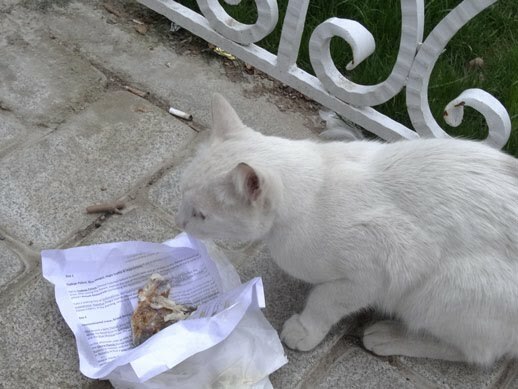 They just go about doing their own thing, reading newspaper, eating lunch, resting, and often with the cats sitting beside them, beneath their bench. Some even feed the cats scraps. Most of the cats look quite chubby and well fed. Although they look like the stray cats back in Singapore, they have much thicker coat of fur to withstand the chilly winter. We couldn't help but to keep our left over fish head to feed them. Here's one lucky stray cat. He was soon joined by his friend (black cat) who finished off the fish. 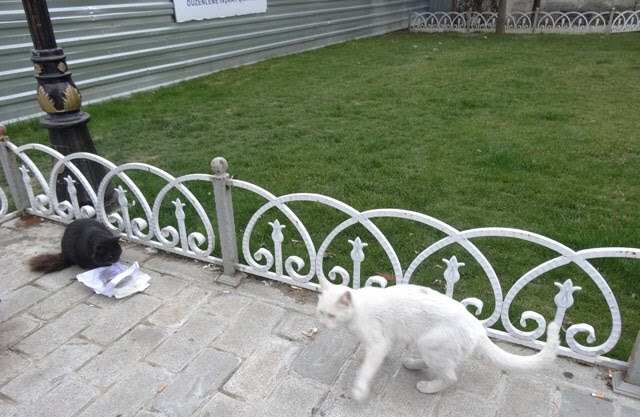 The cats and the locals in Istanbul seem to live in harmony, respecting each other's space. 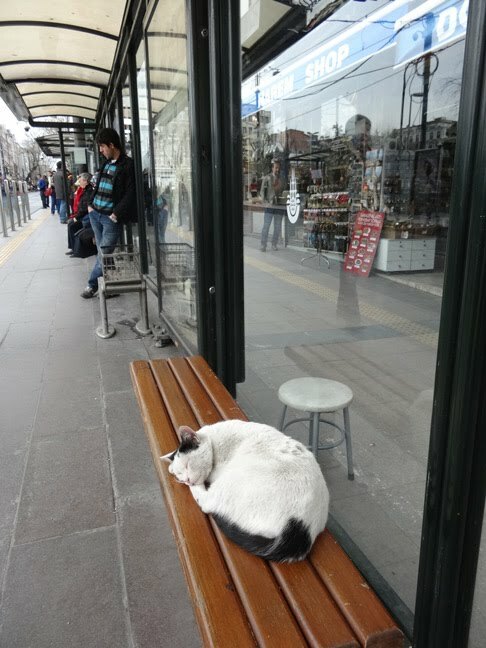 Here at the tram station, the locals let the stray cat snoozes off on the bench without disturbing it. They'd rather stand than sit on the bench where the cat sleeps. 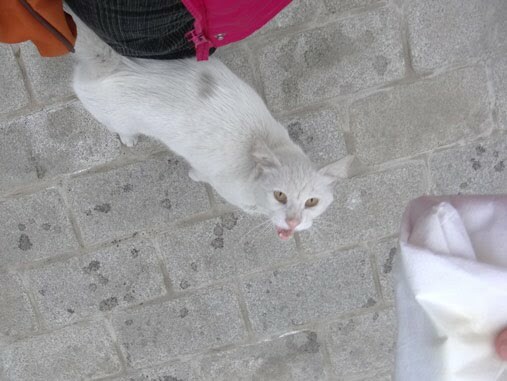 In the evening, we stocked up some ham from the nearby convenience store to feed the stray cats. As I was feeding, a local stray feeder arrived with stacks of food (watch the video to see what he fed them)! I'm so impressed with the locals. We left feeling very happy that the strays cats are well taken care of. 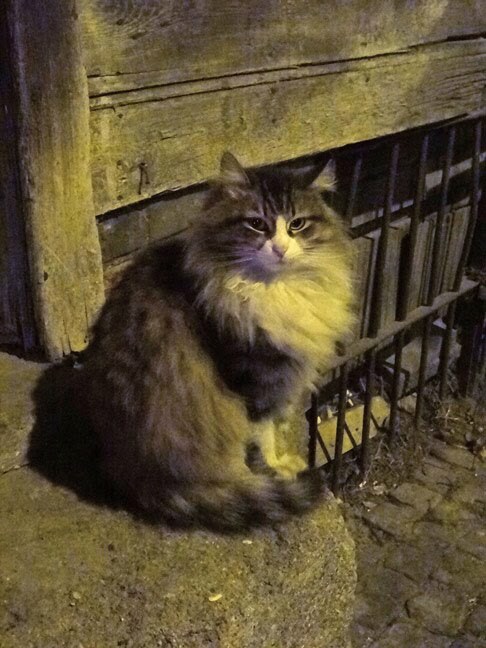 A beautiful stray cat sitting in front of a house.